With beautiful gardens and family-friendly amenities the non-smoking Hyatt Regency Hotel & Spa is a solid choice for our guests headed to Monterey. our guests rave about the gorgeous gardens the excellent amenities and the family-friendly activities like ping pong and croquet provided on the hotel grounds. And they have good things to say about the rooms too. It starts with the Hyatt Grand Bed and the praise goes on to the 42-inch flat-panel HDTVs the mini-fridges the free Wi-Fi and the walk-in rain showers available in all 550 rooms. 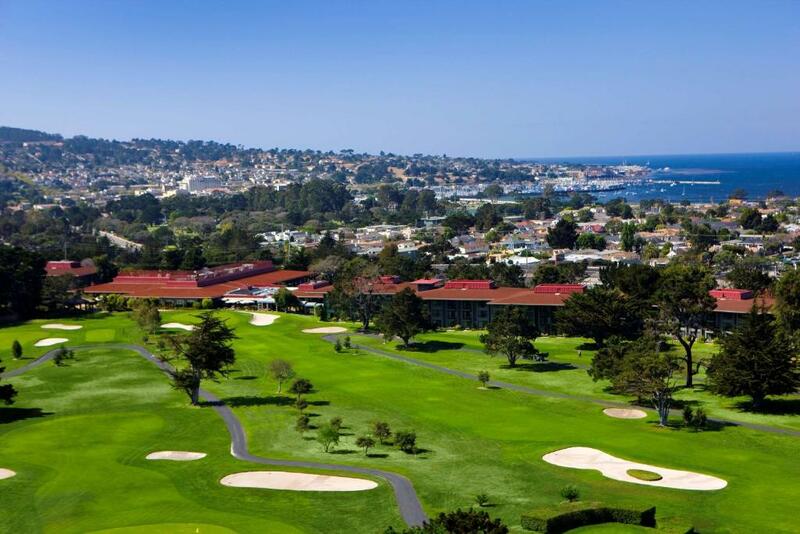 The four-story hotel has two outdoor pools and hot tubs and sits on the 18-hole Pebble Beach Company's Del Monte Golf Course. Hyatt's expanded StayFit gym will keep you on track with your workout; afterwards relax with a drink at the Fireplace Lounge or the hotel's sports bar Knuckles. Better yet pamper yourself with a treatment at the hotel's Marilyn Monroe spa then finish the day off right at the on-site restaurant featuring fresh-from-the-farm California cuisine. The hotel charges a hotel services which covers Wi-Fi parking and more. Some points of interest near the hotel include the Monterey Bay Aquarium Cannery Row and Monterey State Historic Park all three miles away. The hotel is also three miles from the Monterey Peninsula Airport and offers guests the convenience of complimentary shuttle service. 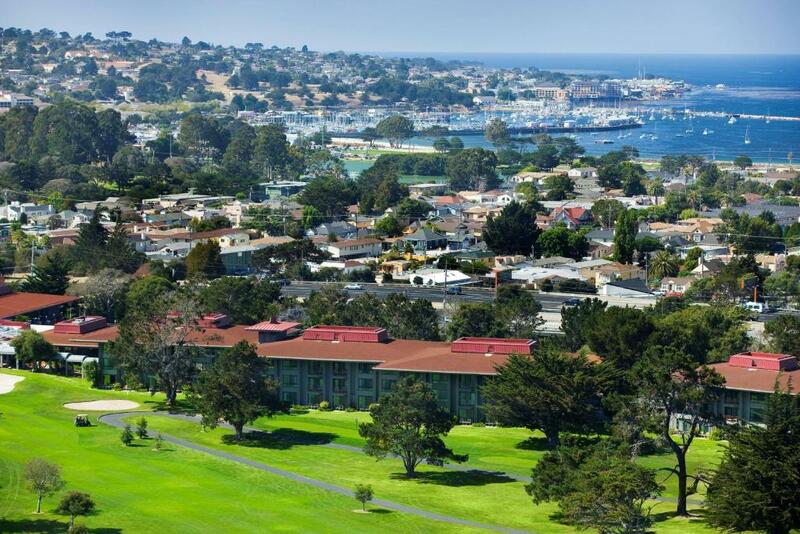 our guests appreciate the facilities location and fresh up-to-date rooms at the Hyatt Regency Monterey.